Are you looking for reliable kitchen fitters in Weybridge who excel in offering complete kitchen installation? Done-for-you is simply the name to count on. Over 13 years of experience has given us the proficiency to offer superior quality service and products for homeowners while providing great value for money. 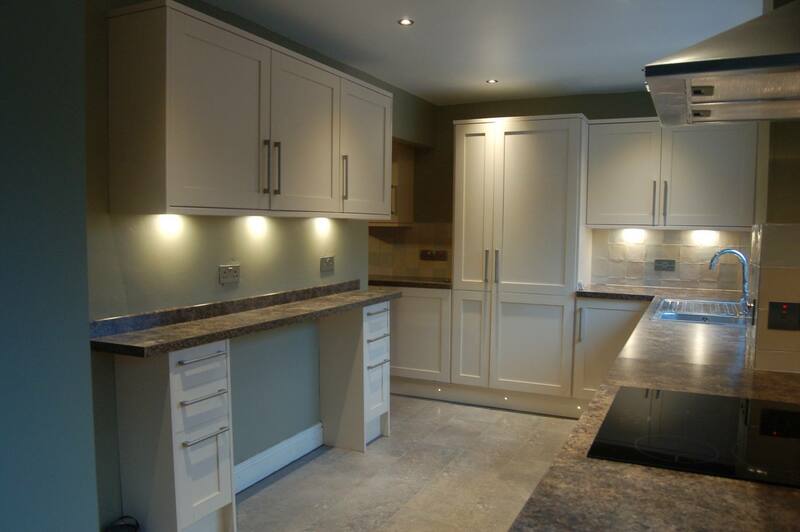 We specialise in offering professional kitchen installation in Surrey at highly competitive prices. We strive to make every step of the installation stress-free to give customers the right peace of mind. As experienced kitchen fitters, we can even tailor our services as per your requirements to offer first-class kitchen installation in Weybridge. I like to talk through and understand my customers requirements and what they want from their new kitchen. I then provide designs, illustrations and plans. Upon approval, I will then install your new kitchen and any tiling, painting, carpentry is carried out to the highest standard. I can also project manage any electrical, gas and plastering work that is required. Visit my gallery page to take a look a look at some more of the kitchens I’ve created.